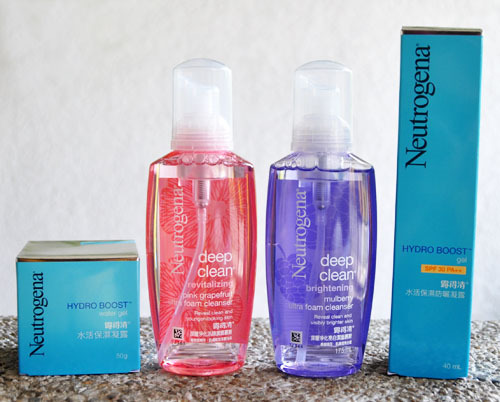 Neutrogena recently added three star products in their Deep Clean and Hydro Boost lines. Deep Clean's a range that would always be dear to me because back when I had the worst teenage acne surge, it's well, my savior. Hydro Boost was only introduced to the market last year and hands down, the Hydro Boost Water Gel is my favourite from the range. I've been using these cleansers for a month now and honestly, I don't know which one I love better than the other. The Deep Clean Revitalizing Pink Grapefruit Ultra Foam Cleanser (Php 307.50) works great in keeping imperfections like impurities at bay while Deep Clean Brightening Mulberry Ultra Foam Cleanser (Php 307.50) does a spectacular job in getting rid of dullness, adding brightness (thanks to Vitamins B3 and C) and radiance to the face. Both cleansers get rid of dirt and oil in seconds and smell yummy yet never overwhelming. This product's a dream come true. Imagine daily SPF protection + 400% skin moisture from a non-sticky gel. I just had to unbox and try it minutes after I got my hands on it. It's coloured blue (see below) when dispensed but invisibly gets the skin drunk upon application. 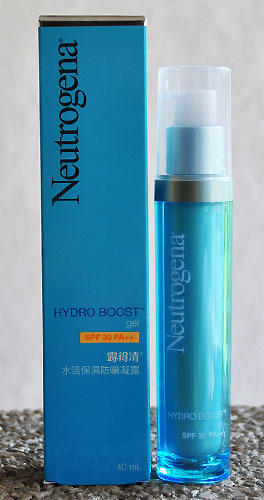 All four products are available in Watsons together with the rest of the Neutrogena Hydro Boost range. 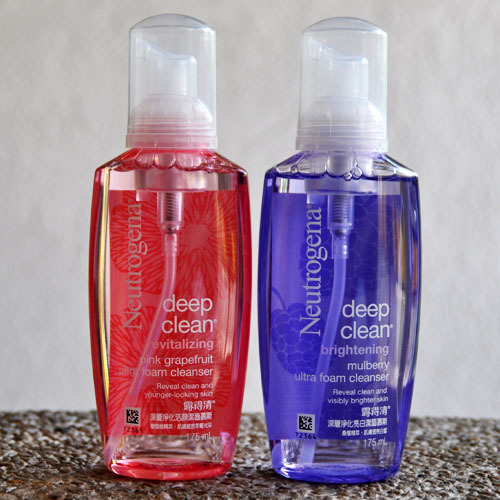 1 comment on "Jump Start Your Day with Neutrogena Deep Clean & Hydro Boost"